This is a no-brainer. Lighting is an important factor to consider when it comes to buying your makeup mirror. You are going to need a properly lit mirror to enable you to perform all your tasks well. You don’t want to strain and lean forward to see your face every time you do your makeup. So, Make sure you check for lighting before you acquire your mirror. Are you planning to have your new mirror mounted on the wall or do you want a simple tabletop design? How convenient will a wall mounted makeup mirror be for you? Will you use it when seated or standing? If you will need to move your mirror around for a while before deciding where you best want it, then a tabletop design may be your best option. Think of how you want to use your mirror and how the mounting style will affect its effectiveness. Where are you planning to have your mirror installed? Do you want it in the bedroom or in your bathroom? The location is very important because, for instance, a mirror you would find in the bedroom would not be the same as that you would find in the bathroom. The lighting in the two rooms is not going to be the same and other factors will affect where to locate it. How high do you want your mirror? Do you have kids who are likely to knock it down or are you the clumsy type yourself? The reason as to why magnification of your makeup mirror matters is because of; one, efficiency and two, how good your eyesight is. Convex glass is mostly used for makeup mirrors so as to enhance visibility even when doing more close-up tasks e.g. tweezing. You want to choose a mirror with enough magnification for you to comfortably perform all tasks without straining your eyes. When choosing your makeup mirror, you want to make sure that it not only serves you but also blends well with the interior décor in your bathroom or bedroom. If you have a small space, then a smaller mirror that lights well to reflect your bathroom may be the best option. Also, the color of the paint and the mood of the room may also in a way impact the type of a mirror you buy. 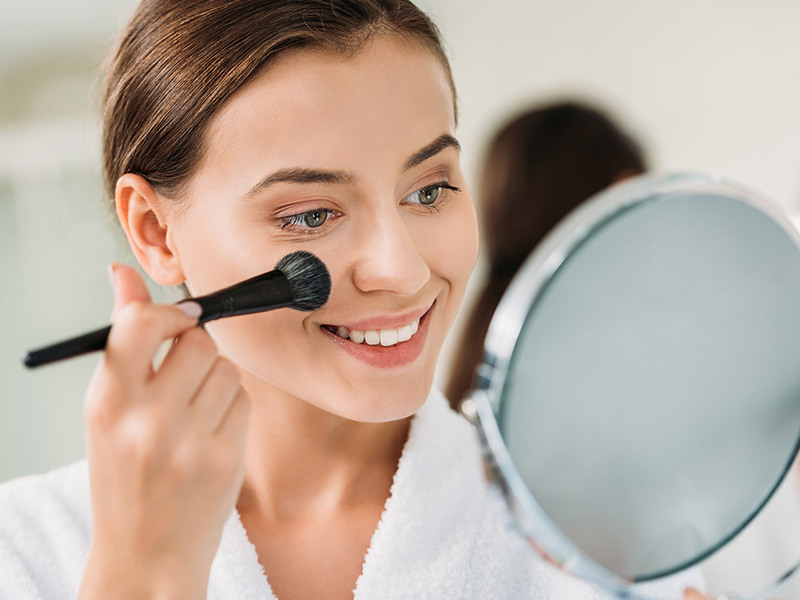 Make up mirrors may be a little different from closet mirrors, and it is important to know that not every mirror is the best mirror for you. Set a budget and research the best mirror for your space as well as needs.